BRAND NEW from Schöffel, we present to you the lightest of them all - the Ptarmigan Ultralight Coat. The Ultralight is cut on the same template used for the rest of the hugely popular Ptarmigan jacket family, but the big difference is that this jacket sits at a fantastic price. The reason for the lower price is that it doesn’t have a GORE-TEX® liner, but don’t let that put you off, the Venturi® liner used instead is made to the same standards and is guaranteed to keep you dry. 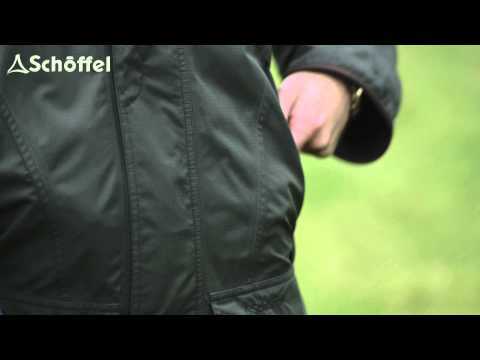 Venturi® has been proven by Schoffel in other jackets and is up there with the best performing waterproof liners, so there is absolutely no compromise on performance. Venturi® is a high-performance laminate exclusive to Schöffel. This laminate combines all weather protection with maximum functionality, it's durable, wind and water-resistant, breathable and soft to wear.